What are the add-only access permissions? With Teamup calendars, you can share your calendar with others via unique calendar link. For every calendar link, you can set the level of access permission. There are nine different levels of access permission. For every calendar link, you can set the level of access permission globally, including all the sub-calendars n the link, or you can select the sub-calendars to include and choose an access permission level for each one. 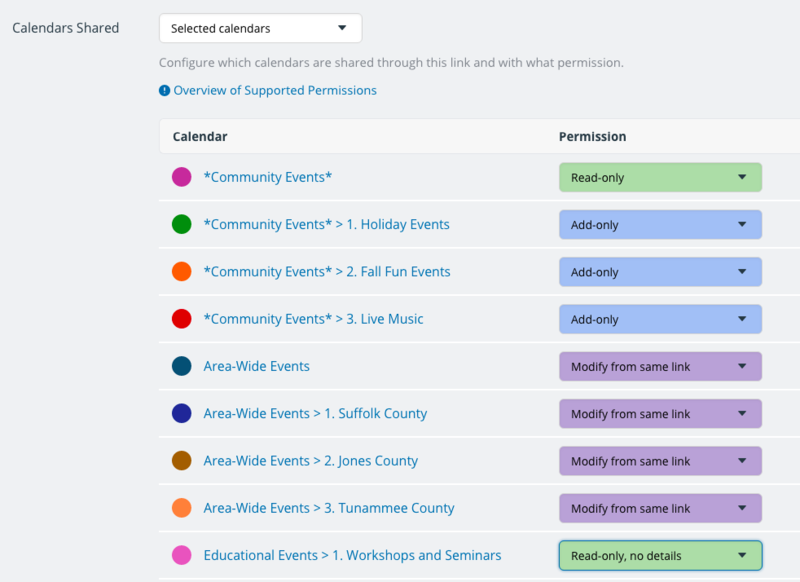 The add-only permission enables users to open the shared sub-calendar(s), click on the calendar to add an event, enter the event details, and save the event. They can also see other events that have been added to the calendar, including details (such as description and location) but cannot edit them. The add-only permission provides a time window in the current browser session to edit or delete the event. You can add new events to the shared calendar. You can modify or delete the events you have added within the allotted time window. After the allotted time window, you cannot modify or delete the events you created. You can see all other events and event details on the calendar. You cannot modify or delete other events on the calendar. 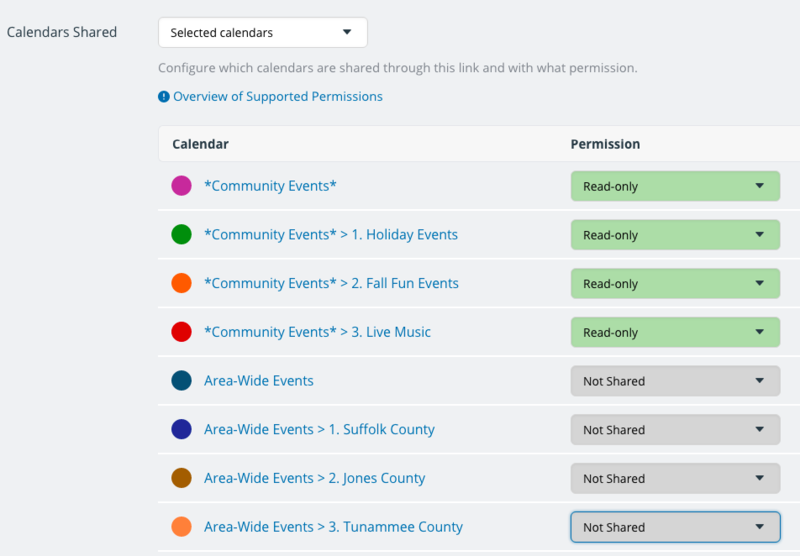 The add-only access permission can be very helpful for a shared community calendar, approval system, or booking calendar. The Add-only, no-details permission does not allow a user to see the titles or details of other events. They will merely see other slots as Reserved. 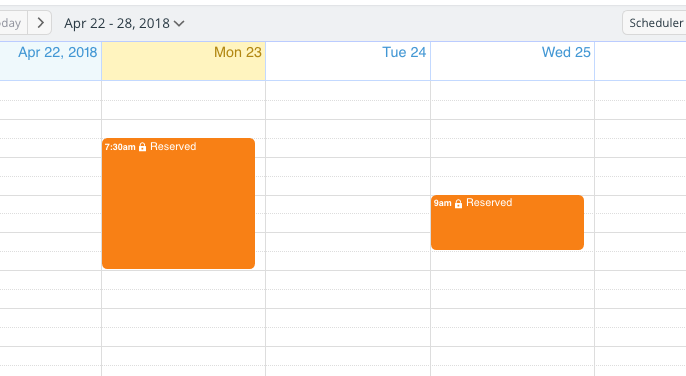 You can see all other events on the calendar, but only marked as Reserved. You cannot see event details of other events on the calendar. 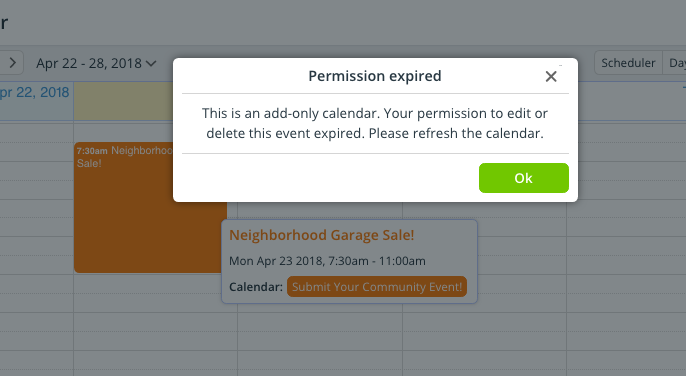 The add-only, no-details access permission works well if you want to allow users to add and modify their own events but not see the details of what others have added to the calendar.